There you will find three (3) wizard pages to be compeleted. Please provide accurate details or data. How Do I check status of a manuscript? How to send a message to the Editorial Office? Click the "Send Message" link for the Editorial office your manuscript belongs to. 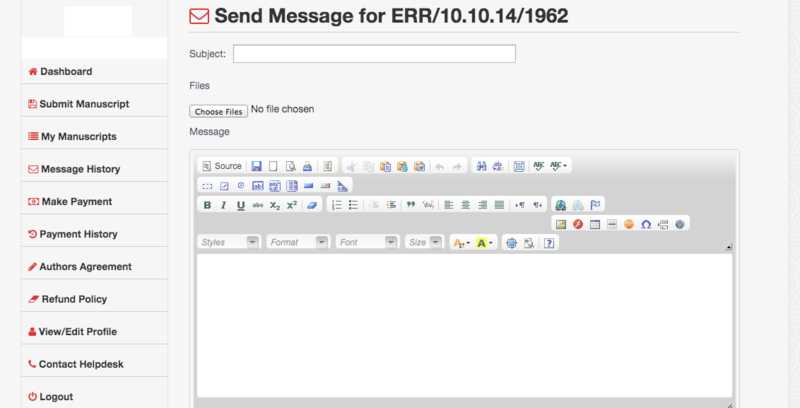 How do I send a message to Help Desk? On the left menu bar of your portal, click the "Contact Helpdesk" link. How do I send message to the Accounts Unit? How do I read or download Reviewers Comments? Reviewers comments are sent as mails to authors. On the Left side menu on the Author's Page, click the "Make Payment" button. A list of payments due would be loaded. Please note, this only displays if you have outstanding payments. How do I change my password or update my profile? To update your profile, click the "View/Edit Profile". On the Password field, enter the new password you wish to use. If you cannot login due to forgotten password, worry less! Visit this page. How do I join the Editorial Board? Visit this page and complete the form. You will be alerted on approval of your request. I have been invited to review a manuscript, how do I login into the system? To login as a Reviewer, visit this link. How do I download a manuscript? To download assigned manuscript, click on "Assigned Manuscript" on the left sidebar; this should display a list of manuscripts assinged to you. 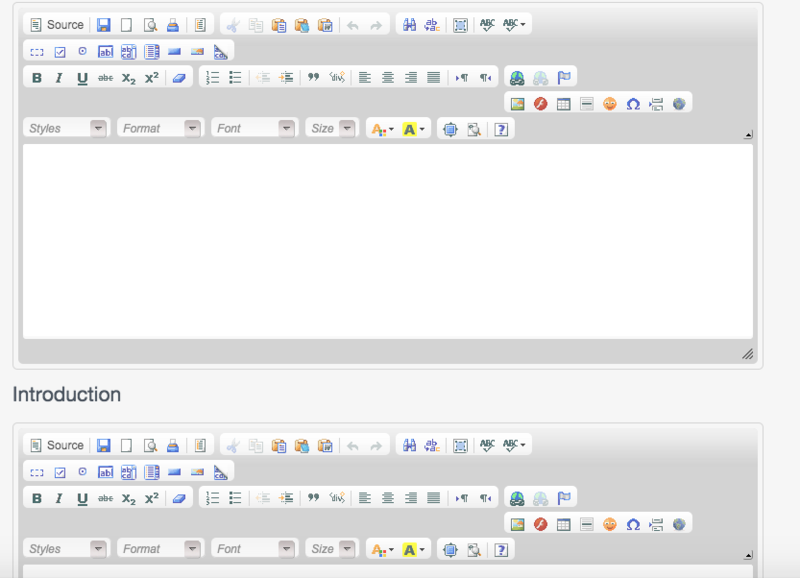 Note that, the number of download buttons displayed will vary for various manuscript files. I cannot find information about the author(s)? Information about author(s) are present on the top of the manuscript files. How do I submit my evaluation of a manuscript? 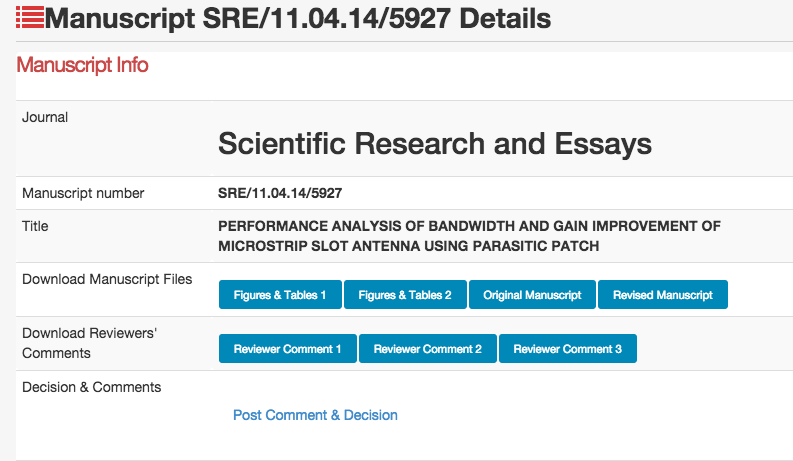 Click on the "view details" link for the manuscript you want to evaluate. How can I send a message to the editorial office? Click here to view a list of mail addresses for all editorial offices. To view/edit your profile, click the "View/Edit Profile" link. To become an Editor, send a message with your interest to [email protected]. How do I login into the system? Visit this page to access the login page for Editors. 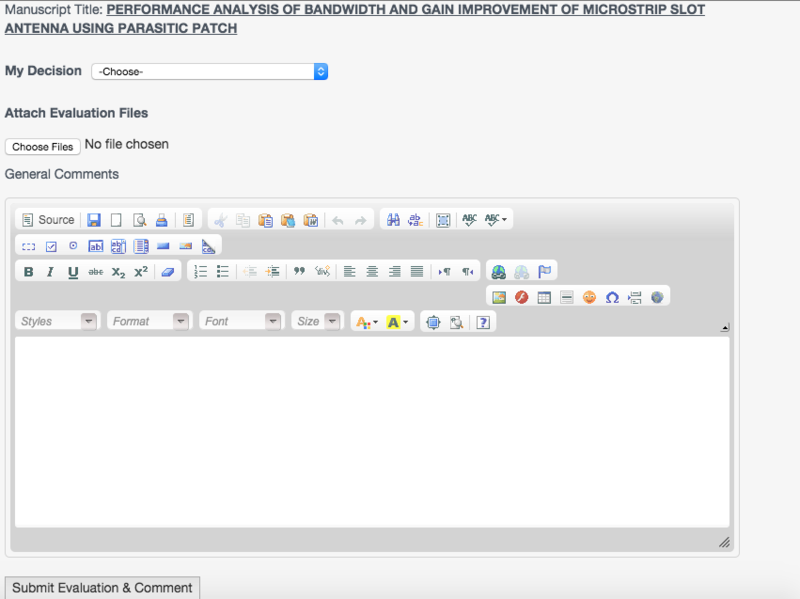 How do I download Original Manuscript, Revised Manuscript, and Reviewers Comments? Visit the "Assigned Manuscripts" menu. A list of manuscripts assigned to you displays. Click the "view details" button. How do I make a decision on a manuscript?